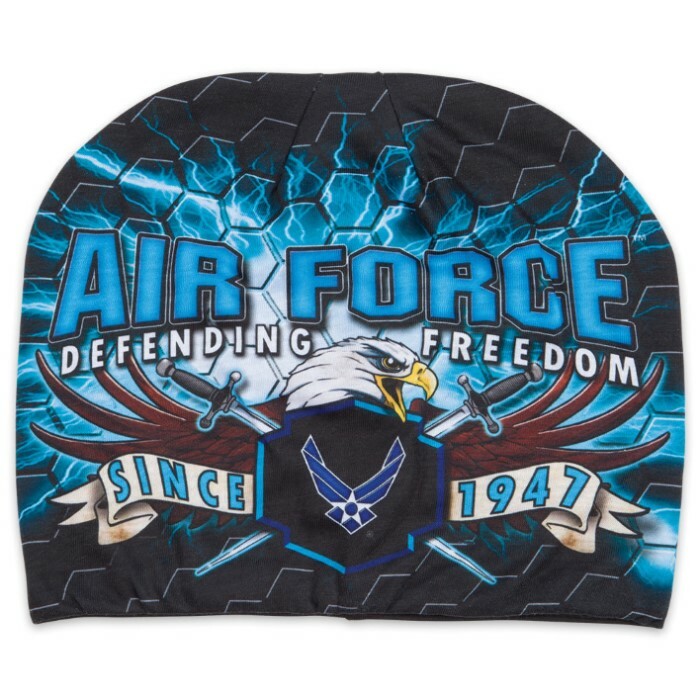 Air Force Defending Freedom Beanie - Hat | BUDK.com - Knives & Swords At The Lowest Prices! Our electrifying Air Force Defending Freedom Beanie honors those who are serving or have served our country in the United States Air Force. It is made of soft, stretch polyester lined with fleece that has a warm and snug fit to stay securely in place while you’re riding. The vivid, original graphic Air Force artwork wraps completely around the hat and is officially licensed. The vivid, saturated colors are dye sublimated so that they don’t fade but stay vibrant and withstand the elements.